Mfuneko Ngam says the work the Mini Cricket coaches do behind the scenes is inspirational in shaping South Africa’s cricketing landscape. The KFC Mini Cricket national seminar in the Drakensberg in early July was a time for recognition, celebration and reflection. It was a time to recognise the time and effort volunteered by over 9 000 coaches outside of their busy, everyday schedules. It was a time to celebrate the growth of the country’s biggest grassroots development programme, in which over 120 000 kids take part. It was also a time to reflect on the extent of the programme’s success, and where it can be improved in the future. The results are there for all to see. Over 2.5-million kids have taken part in the programme over the 35 years of its existence, 1 280 players have been directed to performance hubs, and 124 players have made the grade to international status. To put that figure into perspective, 12 of the 15 squad members from South Africa’s U19 World Cup success learnt their trade in Mini Cricket. 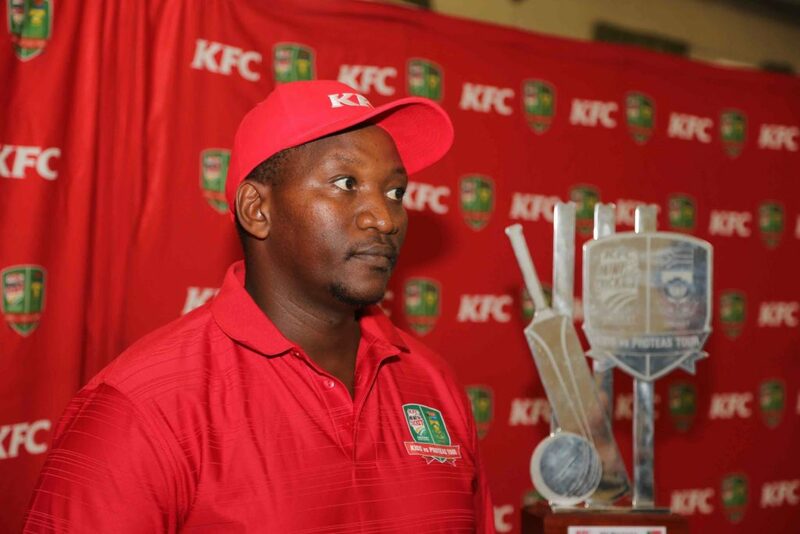 One man leading the way in getting kids active is Apilile Mapekula, who won the KFC Mini Cricket Coordinator of the Year at the 2017 CSA awards, and he inspires youngsters in the Kei region in Mthatha to play the game on a daily basis. He was just one of many at the Champagne Sports Resort in Drakensberg to spend a few days brainstorming as to how KFC Mini Cricket can reach new heights. ‘I started working a year after KFC joined us [in 2012], and I saw them innovating and trying to find ways to instill excitement in the kids,’ said Mapekula. ‘The Proteas vs Kids tour – the opportunity to play against their heroes – motivates them because it’s right in front of their eyes. The kids won the tour, which shows that they are hungry to play cricket. 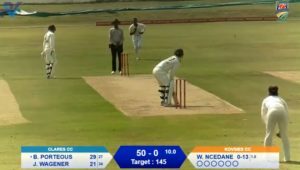 ‘I have the opportunity to change these kids’ lives, and we have some cricketers in the Kei region, at Nomandi Junior School, who have been pushed through to represent their province at national weeks. It shows that the programmes in place are actually going somewhere. Mfuneko Ngam, whose burgeoning international career was cut short by injury 16 years ago, has worked tirelessly in recent years as the Academy and U23 coach at Fort Hare University. He’s overseen a number of professional cricketers make it through the ranks, including the likes of Knights duo Mbulelo Budaza and Luthando Mnyanda. The work he does at Fort Hare goes hand-in-hand with the efforts that the Mini Cricket coaches do. Not only do the kids learn the basics of the game by playing Mini Cricket, but for many of them it’s an opportunity to learn important everyday values and receive equipment that they didn’t previously have access to. By the time they reach Ngam’s academy, the 38-year-old has everything in place to nurture them into superstars. ‘CSA recognising the coaches at grassroots level is really important,’ Ngam said. ‘These guys are doing the hard work. Kids come without shoes and the coaches always make plans. These coaches change lives; they play a big role in our development. ‘It’s always easier when you’ve got a kid who has the basics, because when you have to change their stance when they’re 21 it’s not an easy job,’ he continued.